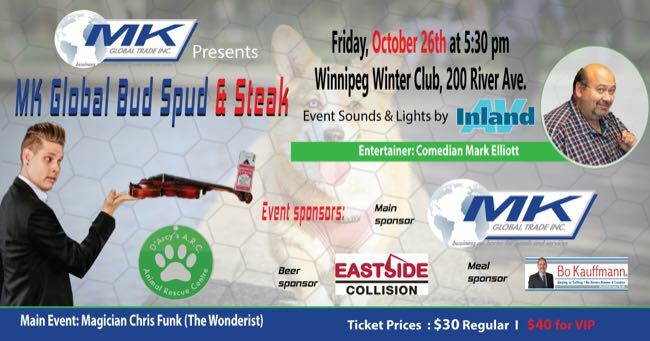 Location: Winnipeg Winter Club, 200 River Ave.
With 2 star performers, a nice meal, a DJ and professional lights and sounds, this ‘ain’t your daddy’s Bud Spud & Steak’…. Regular tickets are $30. VIP Tickets, which includes reserved seating AND table service, are $40. Or buy a table of 8 VIP tickets for $300. All proceeds go to D’Arcy’s ARC.